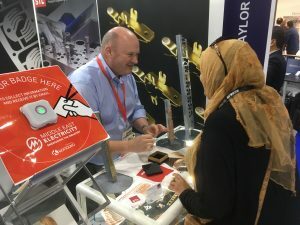 Precious metal contacts and precision stampings specialist, Samuel Taylor Ltd (STL), recently returned from the Middle East Electricity 2019 EXPO at the World Trade Centre Exhibition in Dubai. There was a high level of interest in STL’s contact know-how and product range at the company’s first ever show appearance, as part of the UK Pavilion, organised by BEAMA. The Middle East Electricity 2019 EXPO is the world’s leading trade event for the power generation, transmission & distribution, lighting and solar industries. 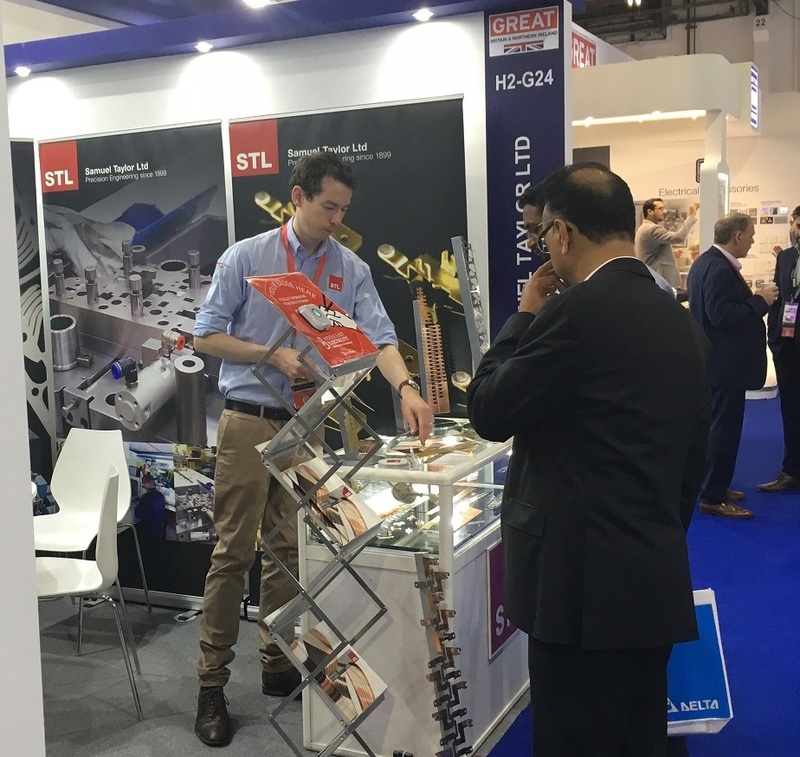 Carl Siviter and James Cameron staffed the booth for STL and commented, “We had positive and wide ranging discussions with customers old and new during the 3 day event and would like to thank everyone who came to our show stand. We hope to be there again in 2020”.